Epson Printers, Scanners dealers in Sri Lanka. We supply all kind of Epson Ink Tank Printers, Dot Matrix Printers, Epson Scanners and Epson Large format Printers in Sri Lanka. All our Epson printer come with Sri Lanka Epson agent warranty. Island wide delivery available. Buy all Epson Branded machine in Colombo Sri Lanka with discount price from us. 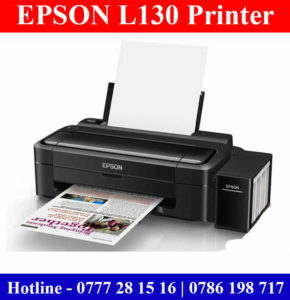 Epson L130 Printers sale Colombo, Sri Lanka with discount price. 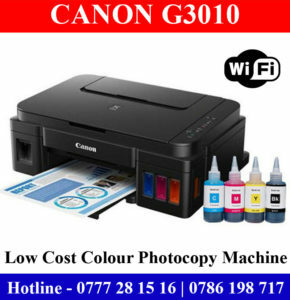 This is low cost ink tank colour printer in Sri Lanka. One year warranty. 80 cents cost per A4 colour printout cost. 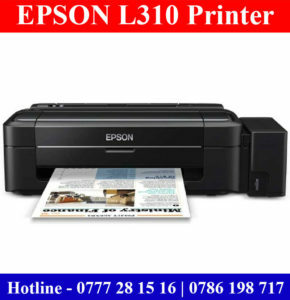 Epson L310 Printers sale Colombo, Sri Lanka with discount price and 01 year warranty. This is good quality low cost colour printer with ink tank System.